The start of a new calendar year often brings with it a period of internal reflection and evaluation. Today, we apply these practices to those gents in the public eye – considering and evaluating their style credentials over the past twelve months to produce our best dressed list for 2013. With a slew of celebrities and personalities stepping up their sartorial game last year, the process was long and arduous – but after much deliberation we managed to compress the list to the ten men we thought stood head and shoulders above the rest. Colin Farrell: Really smartened up his look last year, ditching the greasy, ill-fitting image that had been a previous fixture. Hopefully he’ll continue his style reinvention throughout 2014, too. Nick Wooster: The street style demi-God is a permanent fixture on any best dressed list. Having walked the SS14 catwalk for Mark McNairy and impressed with his own fashion week ensembles, ‘The Woost’ continued to do what he does best in 2013. Those wanting to read more about Mr Wooster should check out our previous breakdown of his personal style. Marc Ronson: Another perennial contender, Ronson’s wardrobe is statement laden, carried off with confidence and a terrific advert for British style. Few people could pull off the flamboyant shirts and tailoring Ronson does, but he narrowly misses out. Nick Grimshaw: Menswear ambassador for London Collections: MEN and GQ‘s Best Dressed Man for 2013, there’s not much more Grimmy could have achieved this year, apart from making our list. His eclectic, eccentric and trend-led attire has delivered him the highest of plaudits. A$AP Rocky: An unrivalled blend of high fashion and streetwear, A$AP had a breakout year and established himself as a contemporary fashion icon. Able to switch between tailoring and trainers effortlessly, his fashion-forward style often plays with cut and fit, creating some dramatic and unique silhouettes – definitely one to watch for 2014. An unrivalled commodity on the male model market, Mr Gandy has been lighting up the lenses of fashion photographers both on screen and off with his blend of British tailoring and Italian suave. A master of the double-breasted jacket and killer three-piece, Gandy’s appearances at global fashion weeks and, in particular, LC:M were sartorial highlights last year and his sharp style shows no signs of falling off any time soon. We mapped his rise to fame back in February in our inaugural model profile and stand-out looks for 2013 included his peak lapel blazer, double-breasted waistcoat and fedora combo at LC:M AW13, along with his beautiful blue double-breasted three-piece at LC:M SS14. Since his explosion onto the music scene a few years back, Tinie has continually impressed with his unique style. 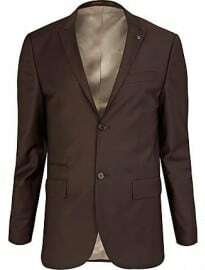 GQ‘s Best Dressed Man of 2012 and an LC:M Ambassador, he often combines tailoring with trend-led elements, giving each his own personal twist. 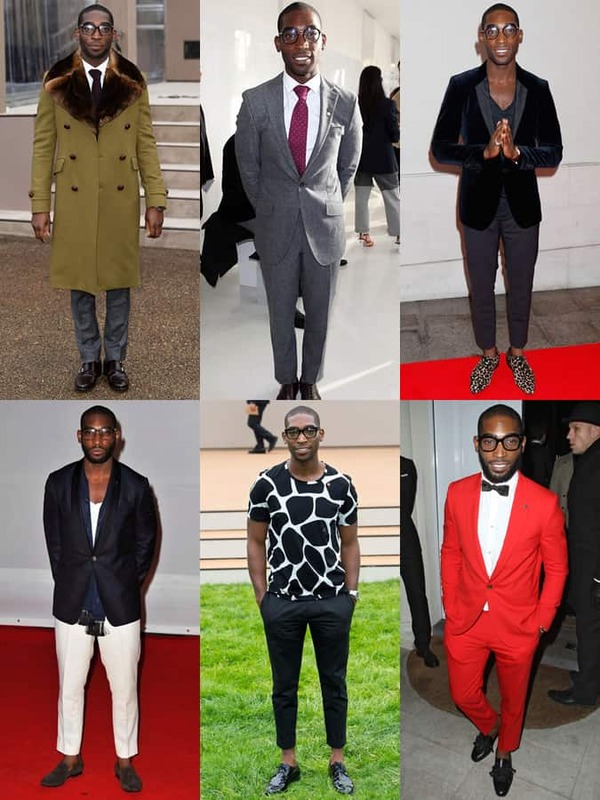 A master of juxtaposing aesthetics, Tinie nailed his formal and smart-casual looks throughout 2013 and has been spotted in everything from velvet suiting to leopard print. His individuality and ability to pull off some of the more daring aspects of contemporary fashion cement him as a true style icon. We documented JT’s style evolution last year and he seriously stepped up his game in 2013. With Tom Ford’s backing, Timberlake’s new, grown-up approach to style coincided with a more mature sound, and slick suiting is now a staple in his wardrobe. However, it wasn’t only Timberlake’s clothing that excelled in 2013 – his grooming has also been top notch and he even laid claim to one of the year’s most sought-after hairstyles: the pomade pompadour. Timberlake’s Cannes outfits were a particular style highlight and reminded us of Mr Gosling’s breakout appearance at the festival in 2011. GQ US’ Most Stylish Man of 2013 slots into our list seamlessly. There aren’t too many people who can boast the success Pharrell had during 2013. The ageless hit-maker collaborated and produced some of the biggest tracks of the year while his clothing label, Billionaire Boys Club, celebrated its 10th anniversary. Pharrell’s style is indefinable; some of the looks he puts together are so individual to him that very few – if any – could pull them off. He brings a touch of flamboyance and panache to everything he wears, even if it’s just a simple check shirt. A developed liking for trouser turn-ups brings a relaxed edge to his formal looks and reinforces the air of effortless cool that the man simply oozes. The Arctic Monkey’s frontman has always had a way with clothes, as well as words. His personal style has been known to constantly shift and evolve while remaining rooted in classic mod style; for 2013 he added rockabilly/teddy boy nuances, which helped give his look an edge. The long locks have been snipped and slicked to help smarten and mature not only his, but the band’s image as well, which coincided with the release of their critically-acclaimed fourth studio album, AM. The boy from Sheffield makes not only GQ‘s top ten, but ours as well. 2013 was the year Becks finally hung up his boots, calling time on a glittering football career. Fittingly, he ended it in the city of style, Paris, as Beckham is – without a doubt – the best dressed athlete ever to grace UK soil. 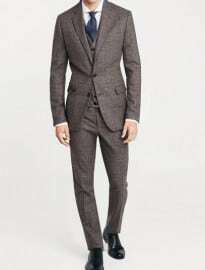 Beckham wears a suit like a second skin and you can expect him to appear nothing short of pristine at formal events. 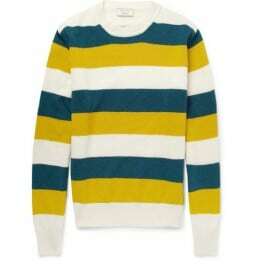 He’s also stripped back his casual wear and now concentrates on artfully layering classic pieces, using accessories to individualise his ensembles. 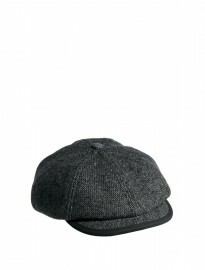 In particular, his collection of baker boy hats has been a highlight this past year. Quite frankly, it’s becoming harder and harder to find fault in any of Becks’ looks – the infamous double leather and sarong faux pas of his youth are now nothing but a distant memory. We recently analysed Cheshire’s sartorial credentials in our model profile as he continues to make industry waves both at home and abroad. His passion for menswear is apparent in his personal style as he adapts the latest trends to his own taste, taking a FashionBeans-approved timeless approach. Mr Pixie Lott stepped out of his girlfriend’s shadow in 2013 as his style made us sit up and take notice. Expect to see a lot more of Mr Cheshire in 2014 – he is set to become one of the industry’s most recognised faces, following in the footsteps of a certain Mr Gandy. Picking up where he left off in 2012, the Les Misérables star is a dying breed of dandy and continues to kill it every chance he gets on the red carpet. His relationship with Burberry has been a mutually beneficial one, tailoring wise, while his casual attire is also something to admire – his layering, in particular, has been wonderfully on point this year. Whether it’s a velvet slipper, a statement check or textured tailoring, Redmayne brings a high-risk, high-reward mentality to his personal style. That risk has yet to backfire for the fresh-faced actor. 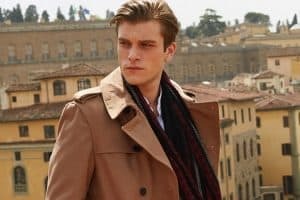 German-born model and photographer Johannes Huebl is probably best known for being one half of a stylish ‘it’ couple with fiancé Olivia Palermo. His public profile means he is rarely out of a paparazzi lens and thus his style is under scrutiny 24/7 – he’s yet to let it slip. Tailoring is an integral weapon in his style arsenal, as demonstrated in his ‘The Way I Dress’ video for MR PORTER (below). He is a man who proves just how versatile and essential a good suit can be – not only for the office but as off-duty separates, too. Huebl is a modern-day icon and the epitome of the FashionBeans man’s approach to style. A late contender for the list, Mr Theroux’s biker-infused style is particularly apt for 2013 with traditional heritage motorcycle jackets, biker jacket silhouettes and biker boots currently trending. Favouring leather pieces and tough boots, Theroux’s look not only ties in perfectly with the industry’s current move toward a more rugged, masculine aesthetic but it is also completely authentic; the man is often spotted riding his vast collection of motorcycles around NYC. 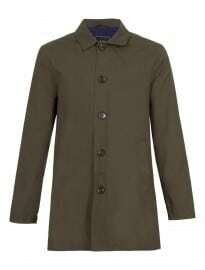 Yet Theroux can also don a suit with the best of them, showing versatility. He brings diversity to this list with his perfectly curated stubble and dishevelled hair juxtaposing his perfect fit and, on occasion, sharp tailoring. 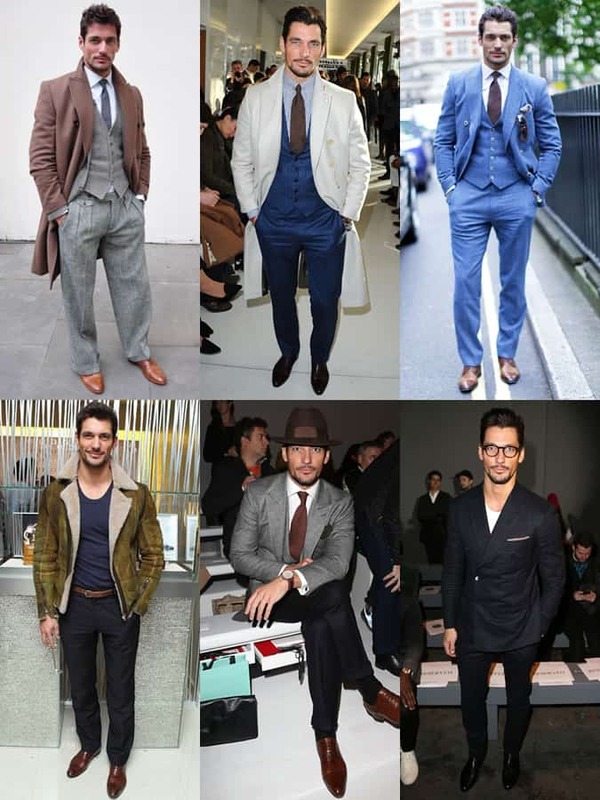 That wraps up our ten best dressed men for 2013 – but now we want to get your thoughts on the list. Is there anyone you really wanted to see on it? Are there any on here you disagree with? Which of our top ten takes your number one spot? Who is your worst dressed for 2013? Whose style will you be keeping a close eye on for 2014?